Russia-backed militants were active all along the contact line and were firing upon the Ukrainian troops defending Krymske, Novoluhanske, Svitlodarsk, Zaitseve, Mayorsk, Pisky, Taramchuk, Avdiivka, Vodiane, Pishchevyk, Shyrokyne and Talakivka. Militants used 82-mm mortars in Hnutove area. They were in try to make Ukraine’s Joint Forces return fire. 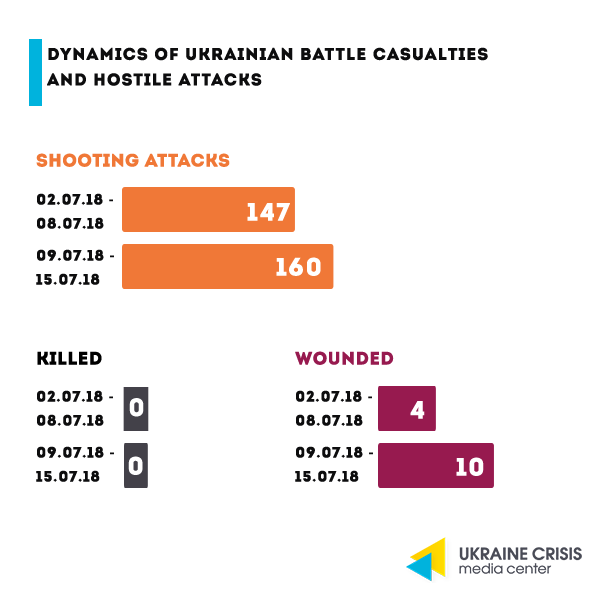 On July 11 the Mariupol direction once again became the hottest spot in the combat zone. Russian proxies were conducting precision fire from grenade launchers, heavy machine guns and small arms upon the Ukrainian troops deployed outside Vodiane, Pavlopil, Talakivka, Lebedynske and Pishchevyk. In parallel Russia-backed militants used Minsk-proscribed 82-mm mortars for the first time in the past six days, they fired 14 mortar rounds upon the Ukrainian troops defending Pavlopil and Vodiane. Anniversary of the MH17 downing. Foreign ministers of the G7 countries called on Russia to “account for its role in this incident and to cooperate fully with the process to establish the truth and achieve justice for the victims of MH17”. 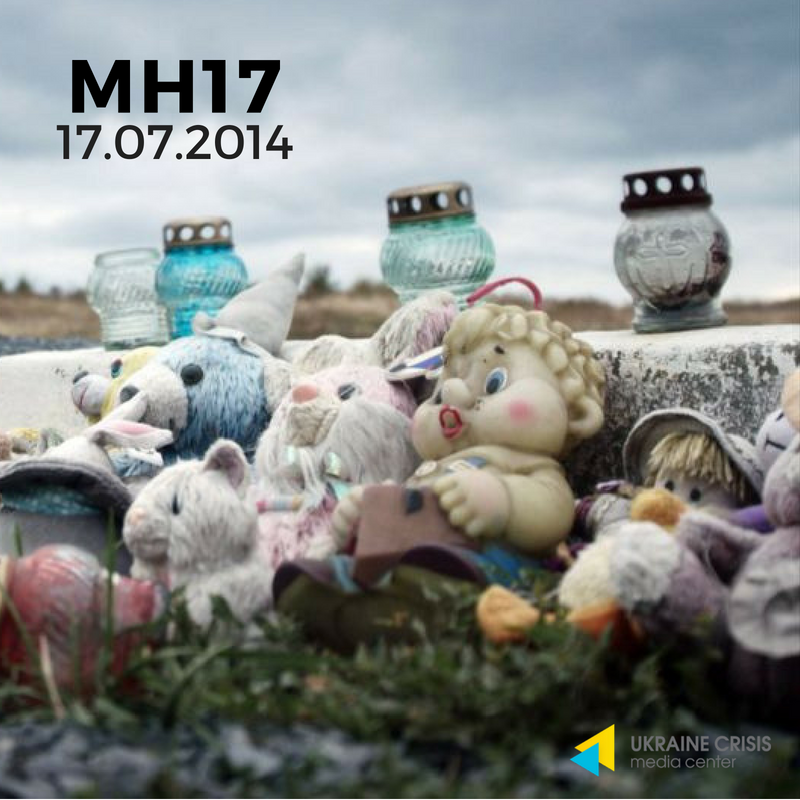 Respective statement was issued by the Foreign Affairs Ministry of Canada in advance of the anniversary of the downing of Malaysian Airlines Flight MH17 that took place over the occupied part of Donbas on July 17, 2014 and ahead of the Trump-Putin meeting to occur in Helsinki on July 16. Key messages of the U.S. President Trump at the NATO Summit became his statements emphasizing the need to increase the expenditure on the military support to the Alliance as well as calling to cease the implementation of the joint projects with the Russian Federation that represents a threat to the EU. 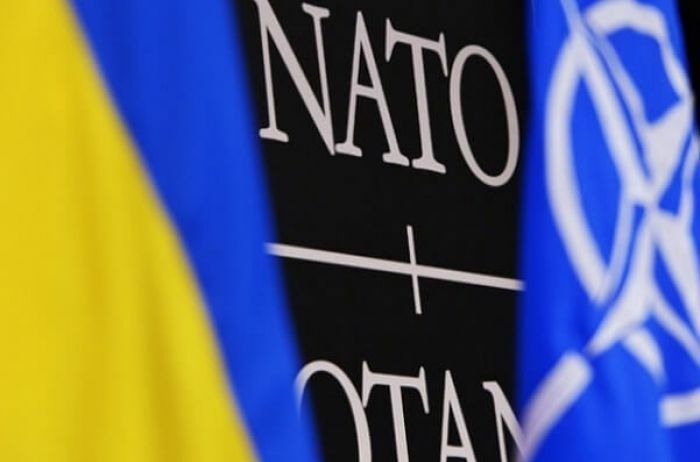 Ukraine and its NATO membership prospects.The final documents of the NATO Summit that took place in Brussels last week including the summit declaration issued by the Heads of State and government participating in the meeting, recognize Ukraine’s Euro-Atlantic prospects. The document emphasizes that independent, sovereign and stable Ukraine that firmly adheres to the democracy and rule of law principles is a prerequisite for the Euro-Atlantic security. At the same time the above documents stipulate clear NATO membership prospects with a respective action plan for Georgia. According to the experts, cautious phrasing as to Ukraine stems from unwillingness of France and the Netherlands to encourage Ukraine’s further integration to NATO. NATO and Ukraine’s Constitution. In his turn the President of Ukraine Petro Poroshenko publicly declared the intention to introduce into the Constitution Ukraine’s aspiration for the membership in the North Atlantic Alliance as well as the country’s non-support to the EU projects in which Russia is a participant. Poroshenko meets Trump. At the Summit the Presidents of the U.S. and Ukraine met. “We discussed in detail the upcoming meeting in Helsinki of President Trump. We thoroughly discussed the ‘Nord Stream-2’ issue, I briefed President Trump (on this matter) in a very detailed way,” President Poroshenko said. A bilateral meeting between the U.S. and the Russian Presidents took place in Helsinki on July 16. 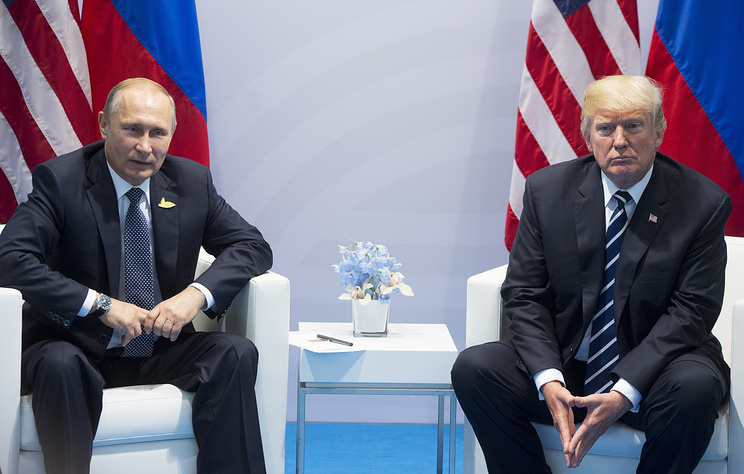 Analysts are convinced that it’s not just the future of the Washington-Moscow relations but also the international security in general that depends on the meeting. Putin and Trump officially met for the first time at the G20 summit in Hamburg last year. Back then they talked for about an hour and judging by their reactions remained satisfied with the talk they had. So the Helsinki negotiations are to become the second full-fledged meeting of the Presidents. The U.S. sanctions. Possible lifting or softening of the U.S. sanctions will be discussed. According to the law Trump’s consent is not enough to achieve that, he might promise to Putin to initiate such a decision and introduce it to the Congress for consideration. Moreover Putin and Trump may agree over a symbolic step to improve the bilateral relations. Following the mutual expulsion of the diplomats over the past two years, the diplomatic missions can now be restored. NATO training in Eastern Europe. Russia’s another concern is NATO’s military training in Eastern Europe, particularly in Poland and in the Baltic States. The issue has become especially topical following the NATO Summit. NATO voiced fears that after the Helsinki meeting Trump may freeze the U.S. military support to the EU member states. At the Brussels Summit the EU leaders were trying to convince him not to do it. Nord Stream 2.Trump also promised to talk to Putin on the construction of the Nord Stream 2 which he called a catastrophe for the EU at the joint press-conference with the UK Prime Minister Theresa May. Ukrainian political prisoners. It is unknown whether the liberation of Ukrainians – Kremlin’s political prisoners will be brought up at the meeting. Following the Ukraine-EU summit the Head of the European Council Donald Tusk said he will ask the U.S. to include the issue of the Ukrainian political prisoners’ liberation into the negotiations agenda. Meanwhile on July 13, which is the birthday of Oleg Sentsov, a Twitter-storm was held calling on Trump to raise the question in Helsinki. No expectations for the results. At the same time Reuters quotes John Bolton, the White House National Security Adviser, who on air at ABC said that the U.S. do not expect any “tangible results” to come from the Trump-Putin meeting. Bolton said that “the United States would not be looking for ‘deliverables’” and they suggested to the Russian side “that the meeting would be ‘unstructured,’” to which they agreed. One should also remember that the presidential power in the U.S. is not absolute, all the important decisions have to be also approved by the Congress and Senate, include the lifting of sanctions, change of the position on Crimea or the war in eastern Ukraine. Opposition Bloc’s candidate: negotiations. 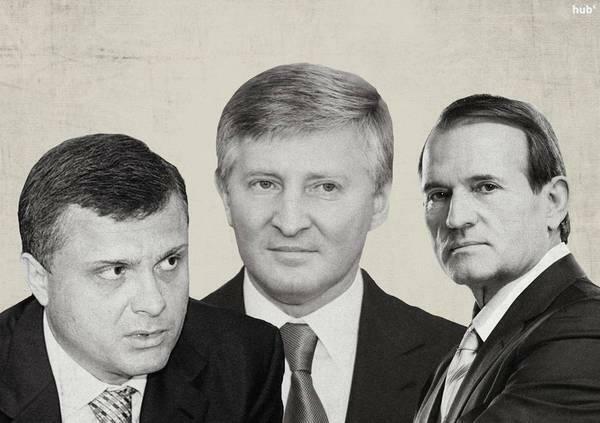 One of the Opposition Bloc leaders, former head of the Presidential Administration under Yanukovych Serhiy Lyovochkin is negotiating with Rinat Akhmetov and Viktor Medvedchuk to set up a joint political party to campaign at the upcoming elections. Lyovochkin suggested nominating Yuriy Boiko as the joint candidate to the President’s post as well as campaigning at the upcoming parliamentary elections as a single party. The offer concerns not just the Akhmetov’s wing of the Opposition Bloc but also Vadym Rabinovych with whom he has been at odds in public until recently. To make the plan of the former head of the Presidential Administration succeed Rabinovych must refuse campaigning in favor of Boiko as well as join the party he chairs “Za zhyttia” (For Life) to the Opposition Bloc. Rankings. Neither of the possible candidates to the presidential post gets over 10 per cent of the voters’ support. These are the results of the opinion poll conducted by GfK Ukraine. Yuliya Tymoshenko remains on top of the list with 10 per cent, she is followed by the stand-up comic Volodymyr Zelenskyi (seven per cent), former Defense Minister Anatoliy Hrytsenko and musician Svyatoslav Vakarchuk score six per cent each, while the actual President Petro Poroshenko, the Opposition Bloc co-chair Yuriy Boiko and the Radical Party leader Oleh Lyashko get five per cent of the votes each.